These presentation slides 48892 are complete compatible with Google Slides. Simple download PPTX and open the template in Google Slides. 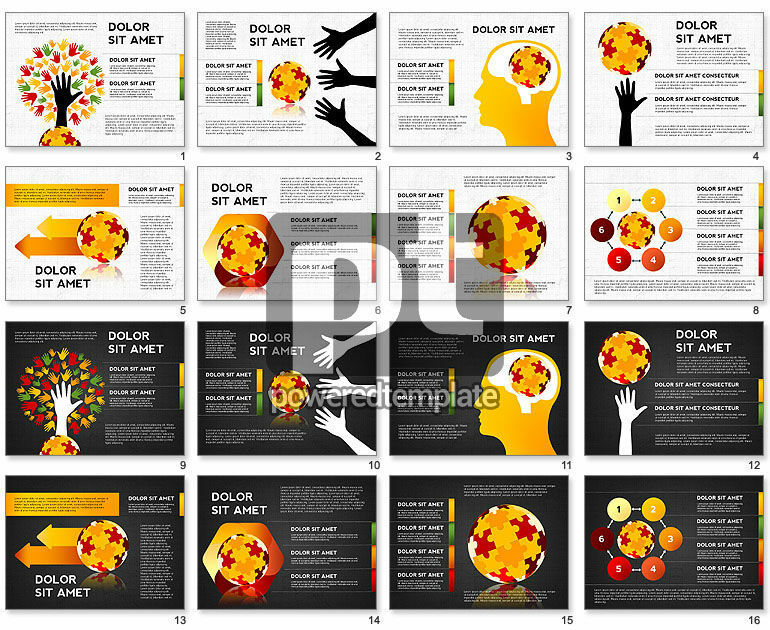 Enjoy this splendid colorful template that will surely inspire your listeners and make you a memorable presenter. There are such items like puzzle spheres symbolizing globes and lots of hand silhouettes put in various creative illustrations looking absolutely fantastic and really bright. Try it for presentations on global friendship, global solutions, international matters, charity projects, etc.